Vera is an urban planner working as a technical advisor for CRS. 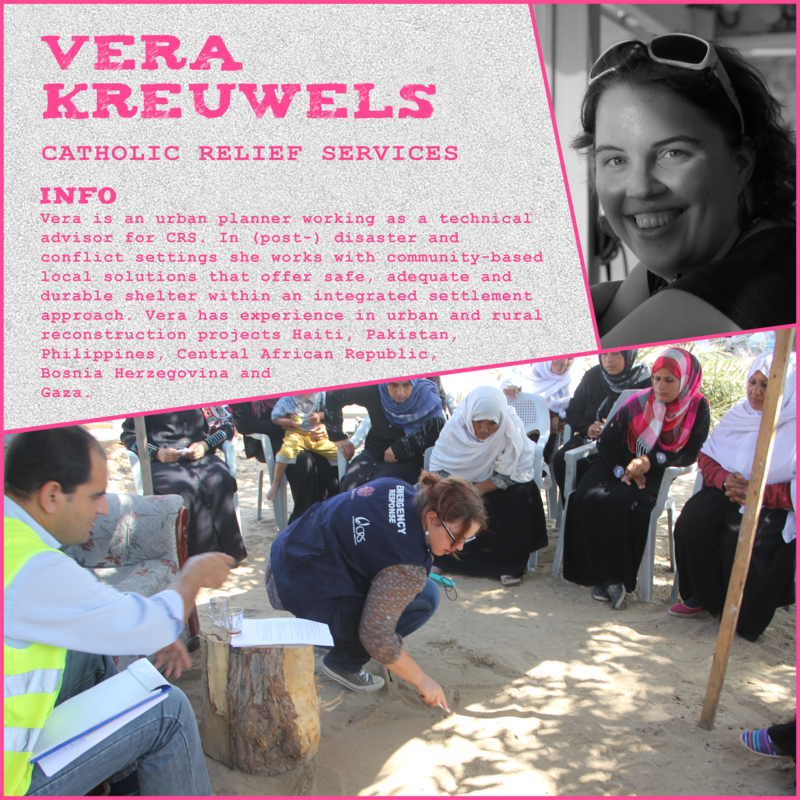 In (post-) disaster and –conflict settings she seeks to assist affected communities with community based local solutions that offer safe, adequate and durable shelter within an integrated settlement approach. She has worked in several emergency and long-term urban and rural reconstruction projects in Haiti, Pakistan, Philippines, Central African Republic, Bosnia Herzegovina and Gaza.